One such trial could involve pupil dilating eye drops used to study the physiology of the eye, or the use of antidiuretic hormone to evaluate kidney function, or the use of radioactive trace elements (medicinal product) in PET scans to produce an image of, for example, oxygen use or glucose metabolism in the body. In trials, in which the medicinal product is used as a tool, the decisive factor is that the trial's objective is NOT to study the therapeutic, preventive or diagnostic effects and safety of the medicinal product or to obtain new knowledge about the medicinal product's pharmacological effects. Trials in which the medicinal product is used as a tool are not subject to the obligation to apply laid down in the Danish Medicines Act. In cases where a medicinal product is only intended to be used as a tool and no marketing authorisation has been issued, or the medicinal product is not marketed, it is required that a compassionate use permit be obtained from the Danish Medicines Agency before any study is initiated, cf. section 29 of the Danish Medicines Act. For more specific information about fees, please see the page Fees for clinical trials here at the Danish Medicines Agency's website. We charge fees for the authorisation of new applications for clinical trials as well as for notification of substantial protocol amendments of authorised trial protocols, which are to be authorised by the Danish Medicines Agency. The fee must be paid no later than one month after receipt of the invoice. The applicant determines who will pay the fee; company/doctor (sponsor/investigator). In the cover letter, please state to whom we should send the invoice as well as any comments you want us to state on the invoice. If the sponsor comes from a public institution, please state the EAN number in the cover letter. However, companies that submit applications for new clinical trials or amendments to an authorised clinical via DKMAnet do not need to state invoice details in the cover letter, because this information is included in the application form on DKMAnet. When submitting protocol amendments for trial protocols not yet authorised, no additional fees are to be paid to the Danish Medicines Agency. However, if material is submitted in the course of our processing of the application, it may, depending on the nature of the amendment, delay our reply to the application. A fee must only be paid for substantial protocol amendments that must be authorised by the Danish Medicines Agency, and if several amendments are submitted together, only one fee is to be paid. Please see our page on Amendments of clinical trials for further information on the types of protocol amendments for which a fee is charged. The executive order on application fees for the authorisation of clinical trials stipulates that the fee applies to all trials comprised by section 88 of the Danish Medicines Act, and the Danish Medicines Agency does not hold the statutory authority to grant any exemptions. Who can apply for authorisation? The sponsor is the applicant. Pursuant to the Danish Medicines Act, the sponsor is the person, company or institution which undertakes the responsibility for the initiation, management and possibly the financing of a clinical trial. The sponsor may delegate the task of applying for authorisation for a clinical trial. In such cases, a document that confirms this relation must be submitted. The sponsor or the sponsor's legal representative must have a permanent address in an EU/EEA country, cf. the Danish Medicines Act, section 88(7) (Appendix 1). Before applying to the Danish Medicines Agency, the applicant must order a EudraCT number. The EudraCT number is an identification number for the clinical trial, which applies throughout the EU. This number can be ordered via https://eudract.ema.europa.eu/eudract-web/index.faces. See the 'Create' button on the top bar, and select EudraCT Number. You can find the application form at https://eudract.ema.europa.eu/eudract-web/index.faces. See the 'Create' button on the top bar, and select Clinical Trial and EEA (if the trial is to be conducted in the EU). The application form must be filled in and edited via the EudraCT website. Guidance on how to fill in the form appears when you move the cursor over the relevant text. The applicant must download the form on his/her own computer as an XML file (Full data must be selected, see user manual). The reason you need to do this is because the EudraCT website does not store any data, but merely serves as an editing tool. The XML file is to be submitted electronically to the Danish Medicines Agency on CD-ROM, via Eudralink or via DKMAnet. It is advised to save the form on the applicant's own computer to avoid data being lost. The application form must also be printed out and signed by the sponsor/applicant. The signed version of the application form must be scanned and sent to the Danish Medicines Agency. The information listed in this guideline must be enclosed in the application and submitted in a single copy (please see point 4). Please also see Appendix 10, which is a checklist, which outlines the documents to be submitted with the application. In pursuance of section 88 of the Danish Medicines Act, a clinical trial of medicinal products must not be initiated until the Danish Medicines Agency has authorised the trial. The intention is to ensure that no trials are initiated which the Danish Medicines Agency cannot accept for reasons pertaining to either ethics or patient safety. As a consequence of this, the Danish Medicines Agency requires detailed documentation on the risk/benefit ratio in order to make qualified assessments. This applies to all trials and is particularly important for trials involving healthy volunteers, or for trials employing major invasive procedures, e.g. extra catheterisation in arteries and/or central veins. When describing the ethical considerations in relation to the clinical trial, it is thus not sufficient merely to claim adherence to the current Helsinki declaration! If a separate section on ethical considerations is prepared for the scientific ethical committee system, this can be submitted with advantage. According to the Danish Medicines Act section 88(4), the sponsor may amend the application once, in order to allow for a reasoned objection from the Danish Medicines Agency. If the application is not amended according to the objection, the application will be rejected. It is therefore recommended not to submit the application until the final protocol and all appendices are available. The Danish Medicines Agency has 60 calendar days to handle a duly completed application. The Danish Medicines Agency aims to give grounds for non-acceptance or grant authorisation within 30 working days. Please note that the time limit is not suspended when the Danish Medicines Agency gives grounds for non-acceptance. It is therefore in the best interests of all parties that the sponsor's reply to grounds for non-acceptance is submitted to theDanish Medicines Agency as quickly as possible. When processing applications for trials with medicinal products for gene therapy and somatic cell therapy as well as medicinal products containing genetically modified organisms, the 60-day deadline is extended by 30 calendar days. For these medicinal products, the deadline of 90 days may be extended by a further 90 days in cases where public boards or the like are consulted. Please note that there is no time limit for the Danish Medicines Agency's decision in applications involving medicines for xenogenic cell therapy. The sponsor must inform the manufacturer of the medicinal product or the manufacturer's representative of the application at the same time as the application is submitted to the Danish Medicines Agency, cf. section 88 of the Danish Medicines Act. This allows the manufacturer to raise objections to the person responsible for the trial prior to its initiation. This information should account for the use of the medicinal product in such a manner that the manufacturer/the manufacturer's representative gain a clear understanding of how the medicinal product will be employed in the trial. A copy of the information sent to the manufacturer must be enclosed with the clinical trial application. For trials concerning more than one site in Denmark, one full application must be submitted by the sponsor. All the additional participating trial sites must be listed on the application form (Appendix 5). Please see Appendix 10. Here you can find a table of contents of the application. We recommend that this table of contents is followed as an aid for both the applicant and the Danish Medicines Agency, which will be able to go through the validation and check-in of the application more quickly. If any points of the table of contents are not relevant, please indicate this on the application. Please also see the guidelines for application for authorisation of clinical trials, amendments and declaration of the end of the trials (CT 1), along with the guidelines for the EudraCT Database (CT 5). These guidelines are available at the following websites: The Commission's website http://ec.europa.eu/enterprise/pharmaceuticals/eudralex/homev10.htm. information on the person, who monitors the clinical trial according to GCP. The scientific processing of the application will not be initiated until the application is complete. On receipt at the Danish Medicines Agency, the application will be checked-in within a few days and if any shortcomings are found, the missing material will be requested. The Danish Medicines Agency's evaluation of an application may take place at the same time as its evaluation in the scientific ethical committee system. For the sake of the evaluation, it is important that the contents of the protocols, which form the basis for the evaluation in the two systems, are comparable. The Danish Medicines Agency will accept both English-language and Danish-language protocols, but only one protocol is to be submitted. It is up to the sponsor/applicant to decide which of the two languages they wish to use. According to the Act on a Scientific Ethical Committee System and the Processing of Biomedical Research Projects, a Biomedical Research Project must be authorised by a regional scientific ethical committee. This also applies to projects covered by the Danish Medicines Act. In applications for trials with medicinal products in humans, the Danish Medicines Agency must make its decision known to the scientific ethical committee concerned, cf. the Danish Medicines Act section 88(6). Further information on applications to the scientific ethical committee system can be obtained by contacting the Danish National Committee on Biomedical Research Ethics, www.dnvk.dk, (tel. +45 7226 9370, dnvk@dnvk.dk). After implementation of the General Data Protection Regulation, clinical trials of medicines no longer need to be notified to the Danish Data Protection Agency. Further information in Danish is available at the website of the Danish Data Protection Agency. Contact the Danish Data Protection Agency at dt@datatilsynet.dk or call +45 33193200. Patient trials with products containing living, genetically modified organisms are subject to the Danish Environment and Gene Technology Act, more specifically this Act's rules on research. The rules are contained in the Danish Ministry of Labour's Executive Order (No. 910 of 11 September 2008) on "gene technology and working environment". One of the things this Executive Order covers is the requirement for notification of the classification of premises, at which all or part of the trial is to take place, as well as notification of projects. The purpose of the notifications is to safeguard both the working environment and the external environment. The Danish Working Environment Authority will then grant authorisation of both the premises and the trial. Notifications on the classification of premises for gene therapy and notification of projects concerning the use of living, genetically modified microorganisms for gene therapy are to be submitted to the Danish Working Environment Authority, which will then send a copy of notifications for consultation to the Danish Environmental Protection Agency. Medicinal product trials with gene therapy must be notified to the Danish Working Environment Authority, cf. above. This may take place at the same time as the application to the Danish Medicines Agency. For further details concerning notification, please contact the Danish Working Environment Authority (http://www.arbejdstilsynet.dk/ or tel. +45 3915 2000). Please see the Danish executive order on good clinical practice in clinical trials of medicinal products, no. 744 of 29 June 2006 (appendix 3) (in Danish only). Generally, a trial protocol should contain the details listed below. Some of the details may appear from separate appendices, if required by local circumstances. Other parts of the points below may be described, for example, in the Investigator's Brochure. a) Protocol title, date and code, if any, all appendices and amendments must be numbered and dated. b) Name and address of the sponsor and any person, company, institution or organisation to whom the sponsor has delegated tasks. c) Name and title of the person/persons authorised to sign the protocol and the protocol amendments on behalf of the sponsor. e) Name and title of the investigator responsible for the trial (in the case of a multi-site trial please state the name and title of the investigator responsible for the trial at all centres), including the coordinating investigator and the addresses and telephone numbers of all the relevant trial centre(s). f) Names and addresses of laboratories and other hospital departments, technical departments and/or institutions involved in the trial. g) A declaration stating that the trial will be carried out in accordance with the protocol and current statutory requirements/legislation. h) A description of the time schedule, including dates for the start of the trial, the trial period and completion. a. Product name(s) and description of the active substance(s). f. References to literature and data that are relevant and form the basis for the trial. 3. A detailed description of the purpose of the trial with references to relevant literature. a. Clear indication of the primary and any secondary endpoints of the trial. i. An indication of the data considered to be source data and which is recorded directly on the Case Report Forms (CRFs) – e.g. data not previously written down or electronically registered. a. A description of the inclusion criteria. -which data is to be collected from trial subjects from whom the study medicine is to be withdrawn or from trial subjects who have left the trial, as well as when such data should be collected -to what extent and how trial subjects leaving the trial are to be replaced by new subjects -follow-up procedures for trial subjects who have stopped using the study medicine/left the trial – NB! including drop-outs. a. A description of the treatment, including product name(s) of all products, dose, posology, frequency and treatment period(s), including follow-up periods. d. Statement of any subsequent treatment for the trial subjects when they leave/terminate the trial. b. Methods for time points for measurement, registration and analysis of efficacy parameters. e. Statement of how and how long the trial subject should be monitored in case of adverse events/adverse reactions. a. Description of the statistical methods employed – including time(s) for scheduled interim analyses. g. Statement of the trial subjects, whose data will be included in the statistical analysis (e.g. all randomised subjects, all subjects receiving medication, all eligible subjects and all subjects who can be evaluated). 10. Direct access to source data/documents, including the investigator's authorisation to direct access to source data/documents (including patient files) in connection with monitoring, auditing and/or inspection by an scientific ethics committee, the Danish Medicines Agency or by health authorities in other countries. 11. Quality control and quality assurance, including confirmation that ordinary procedures for quality control and assurance are complied with, cf. sections 3 and 4 of the Danish executive order on GCP (Appendix 3) / Confirmation that standard procedures for quality control and quality assurance will be complied with, cf. ICH GCP guidelines (see Glossary sections 1.46 and 1.47). b. Description of how the trial subjects (patients, healthy volunteers, patients for whom the treatment of their illness is not the aim of the trial) are to be informed and how their consent will be obtained. Possible reasons for not obtaining informed consent from the trial subjects themselves. 13. Handling and archiving data. Guidelines for handling, processing and archiving all of the collected data for each trial subject participating in the trial, plus other data relevant to the trial. 14. Financing and insurance. Specification of the financing and insurance status of the trial. a. Description of where the results are intended to be published/announced - Please see the current guidelines for researchers and scientific ethical committees. 16. Summary and appendices. The trial protocol must contain a summary and relevant appendices (e.g. instructions for personnel, description of special methods of approach). 17. Literature references. A list of the literature referred to in the protocol must be attached. A detailed review of the European regulatory authorities’ recommendations related to contraception and pregnancy testing in clinical trials has been made by the Clinical Trials Facilitation Group (CTFG). We recommend that you keep updated about the recommendations of the CTFG. The following is an overall description of the recommendations of the CTFG. Where relevant, it must be clearly stated in the protocol, or in an amendment to this, that it is ensured that fertile women are not pregnant when included in the trial (negative pregnancy test at the inclusion) and that safe contraception is used. The following contraceptive products are considered to be safe: Intrauterine devices or hormonal contraception (oral contraceptive pills, implants, transdermal patches, vaginal rings or long-acting injections). In certain cases, it is accepted to use double barrier methods (a condom combined with a diaphragm). This should be explicitly justified in circumstances arising from the study design, product characteristics and/or patient population. If there is sufficient evidence that the substance is not a reproductive toxin in humans, less reliable contraceptive methods than those mentioned above may be sufficient. This is described in detail in the recommendations of the CTFG. Fertile women included in a trial must use contraceptive methods in line with the above throughout the entire trial period and after the last dose of trial medication for a period until the systemic exposure to the investigational medicinal product has decreased to a concentration that is no longer considered relevant for human teratogenicity/fetotoxicity (see the recommendations of the CTFG). Sterilised or infertile subjects are exempt from the requirement to use contraception. To be considered sterilised or infertile, subjects must generally have undergone surgical sterilisation (vasectomy/bilateral tubectomy, hysterectomy and bilateral ovariectomy) or be postmenopausal defined as no menses for 12 months or more prior to enrolment. An FSH measurement may be used to confirm a postmenopausal state in women. For some individuals or special populations, there may be arguments against using the above-mentioned methods. Examples include seriously ill, hospitalised patients or fertile children who are not sexually active. The investigator has the responsibility of determining whether any such populations exist. The reasons for a deviation must be recorded (e.g. in the CRF) and should not be submitted to the Danish Medicines Agency, but must be stored for documentation in connection with any future inspection. A procedure for preauthorisations of non-compliance from the register (waivers) is in general not accepted by the Danish Medicines Agency. Clinical trials with medicinal products in humans must be conducted in accordance with good clinical practice (GCP) cf. the Danish Medicines Act section 88(2). Also view Executive order on good clinical practice on medicinal products - humans (no. 744 of 29 June 2006, appendix 3, sections 3-6). Here it is evident, that there must be a monitoring and audit of the trials. The executive order's section 2 defines monitoring as: The monitoring of a clinical trial's progress and assurance that it is conducted, recorded and reported in compliance with the trial protocol, the sponsor's written procedures, good clinical practice (GCP) and any other applicable law. The provisions of the Danish Medicines Act that regulate clinical trials have been changed (most recently on 12 December 2005), implying that there is a now a statutory basis for implementing parts of the European Parliament's and the Council of Europe's Directive 2001/20/EC of 4 April 2001 on the approximation of the Member State's acts and administrative provisions on application of good clinical practice in trials of medicinal products for human use. The points which concern clinical trials in Act no. 382 enter into force on 1 May 2004. The Directive aims at harmonising legislation on clinical trials of medicinal products in humans within the EU. The Directive introduces the requirement that all phases of clinical medicinal product trials in humans must proceed according to GCP, which is an internationally recognised ethical and scientific quality standard. Thus, GCP comprises both the ethical and scientific aspects associated with clinical trials. Compliance with GCP standards for the protection of trial subjects' rights, safety and welfare helps to ensure that it is ethically justifiable to let humans participate in medicinal product trials. At the same time, there is a requirement that the trial should be planned, conducted and reported in accordance with GCP, in order to ensure scientifically acceptable implementation. Study data must be well-documented and correct as to ensure reliable trial results, which can be used as documentation for the authorisation of a medicinal product and how it should be used in treatment of patients. Standards have also been introduced in other areas within development and handling of medicinal products. This development, which e.g. involves a toxicological assessment of a medicinal product's constituents prior to any clinical trial, is encompassed by the Good Laboratory Practice (GLP) protocol. Likewise, there are standards for Good Manufacturing Practice (GMP) and Good Distribution Practice (GDP) respectively. GCP imposes demands on the parties of the trial (the sponsor and the investigator), the ethical committees and the competent authorities. A basic element of the GCP standard is that the sponsor, before an authorised trial is initiated, must construct a documented quality assurance system with standard operation procedures (SOPs) for the different phases of the trial and for data handling. During the trial, the sponsor must, as an element of quality control, ensure compliance with the established procedures and the competent authority may choose to carry out an inspection of the trial centre or other relevant centres. Once a trial is completed, quality control also encompasses analysis of data. All trial activities, control visits etc. must be documented by means of written reports. The Directive (2001/20/EC) is available at http://eur-lex.europa.eu/LexUriServ/LexUriServ.do?uri=CELEX:02001L0020-20090807:EN:NOT. Pursuant to Directive 2001/83/EC, the information and documentation accompanying an application for marketing authorisation must be presented in accordance with a range of detailed rules. With regard to the execution of trials, all phases of the clinical development, including studies of bioavailability and bioequivalence, must be planned, conducted and reported in accordance with Good Clinical Practice. In a press release, the Committee for Proprietary Medicinal Products (CPMP) (now the Committee for Human Medicinal Products - CHMP), the EU "registration board", has stressed that in handling marketing authorisation applications, emphasis will be placed on whether trials are carried out and reported according to the CHMP's Note for guidance entitled Good Clinical Practice for Trials on Medicinal Products in the European Community III/3976/88-EN. In January 1997, this was replaced by the International Conference of Harmonisation (ICH) guidelines concerning GCP, entitled Note for Guidance on Good Clinical Practice (CPMP/ICH/135/95). The guidance is available at: http://www.ema.europa.eu/docs/en_GB/document_library/Scientific_guideline/2009/09/WC500002874.pdf. Under the Danish Medicines Act section 90, subsections 1, 2 and 3, the Danish Medicines Agency is entitled to inspect any trial it has authorised. An inspection of a clinical trial normally comprises inspections on the premises of both the sponsor and the investigator to establish whether the trial is carried out in accordance with national legislation, the GCP guidelines, the trial protocol and the sponsor's quality assurance system, as well as to establish whether the data is correct and reliable. Applicants that have access to EudraVigilance must register the Investigational Medicinal Product (IMP) in the Medicinal Product Dictionary (MPD). Naturally, this only applies if the IMP is not already registered. Non-commercial sponsors are not expected to have access to EudraVigilance. For products for which a marketing authorisation is already issued or is being applied for, as well as for products for which documentation was submitted in connection with a previous application, reference to the previously submitted material is usually sufficient. For other products, documentation on the chemical, pharmaceutical, animal pharmacological, toxicological and human pharmacological properties must be attached along with information on existing clinical experience. Where relevant, the Investigator's Brochure may be referred to for information regarding toxicological, animal pharmacological and human pharmacological properties as well as existing clinical experience. If the Danish Medicines Agency has previously assessed the documentation, and amendments of e.g. the Investigator's Brochure are subsequently submitted, any changes must be clearly indicated. The case handling process will not start unless there is such a document. Information on changes to versions not submitted must likewise be indicated clearly. Revised versions should only be submitted for assessment if the changes are significant to ongoing trials or if it occurs in connection with an application for new trials. If necessary, the Danish Medicines Agency may order complete reports or any other supplementary information. Please also see the Danish executive order on GMP (available in the factbox to the right: 'Bekendtgørelse nr. 264 af 4. april 1997 om god fremstillingspraksis (GMP) og god distributionspraksis (GDP) for lægemidler'), Directive 2001/20/EC, article 13 and GMP Directive 2003/94/EC. The directives are available at: http://ec.europa.eu/enterprise/pharmaceuticals/eudralex/index.htm. For Directive 2001/20/EC, click 'Volume 1'; for the GMP Directive, click 'Volume 4'. In the case of direct import to Danish companies from third countries (non EU/EEA countries), please see the Danish GMP executive order referred to above as well as our frequently asked questions about GMP, which you can find at www.dkma.dk under Companies > Authorisation of companies > FAQs on GMP. Please also see the form "Documentation for good manufacturing practice (GMP) and the quality of investigational products in connection with the application for the conduct of clinical trials in Denmark" as well as the form "Qualified Person declaration". Please also see point 9. For medicinal products on the market which, for trial technical (e.g. blinding) or other reasons, have the form, appearance or composition changed, information on the complete qualitative and quantitative composition must be submitted together with considerations on bioequivalence with enclosed results of relevant in vitro tests (for compressed medicinal products, e.g. in the form of dissolution tests) for both the marketed and the amended formulation. If this information has previously been submitted to the Danish Medicines Agency, it is sufficient to refer to it and, if possible, with an indication of the Danish Medicines Agency's record number and/or EudraCT number. In accordance with EU Directives 1,2,3,4,5, applicants are reminded that all pivotal non-clinical studies (i.e. those studies identified in ICH guidelines as needing to be carried out in accordance with the principles of good laboratory practice) conducted to support submissions for Marketing Authorisation Applications (MAA) and Clinical Trial Applications (CTA) must be conducted in, or inspected by, a country that has implemented the OECD Mutual Acceptance of Data (MAD) system. Studies conducted at a facility located in a non-MAD adherent country may be accepted if the facility has been subject to a full monitoring inspection conducted in the last three years by a monitoring authority from a country which is a signatory to the MAD agreement. However, if the study is considered to be pivotal to the application, there is a possibility that a study audit will be required by some regulatory receiving authorities at the time of a MAA. As applications for CTAs do not include individual study reports, Sponsors should include a statement confirming the OECD GLP status, either within the Investigator's Brochure (IB) or within the covering letter. Labelling must comply with the requirements of the current Annex 13 to the GMP directive. Link: http://ec.europa.eu/health/files/eudralex/vol-4/2009_06_annex13.pdf. Labelling must be in Danish, yet for products which are exclusively administered by hospital personnel English, language marking may be accepted. However, Danish-language instructions must be available to the personnel. Pursuant to the explanatory notes to the Danish Medicines Act, No. 1180 of 12 December 2005, products may be dispensed or sold for use in clinical trials authorised by the Danish Medicines Agency. pharmacies or hospital pharmacies with the intent to distribute to the person responsible for the trial. Import and export (from third countries) as well as manufacture of medicinal products for clinical trials may only be undertaken by companies authorised pursuant to section 39 of the Danish Medicines Act. The authorisation must include manufacture of medicinal products for clinical trials. The import and export of such products thus require no further authorisation. Please also see the form "Documentation for good manufacturing practice (GMP) and the quality of investigational products in connection with the application for the conduct of clinical trials in Denmark" for import or manufacturing activities in a third country as well as the form "Qualified Person declaration". The investigational medicinal products must not be dispensed to the investigator until the Danish Medicines Agency has authorised the trial. Distribution to a pharmacy may take place prior to trial approval, but the pharmacy must not dispense any of the medicinal products concerned to the investigator before the trial is approved. For further information, please see Directive 2003/94/EC, the GMP protocol and Annex 13. Pursuant to section 13 of the Danish GCP executive order (appendix 3 https://www.retsinformation.dk/Forms/R0710.aspx?id=152402), trial subjects must receive investigational medicinal products free of charge, including any devices used for their administration. The sponsor supplies the investigational medicinal products and any devices used for their administration. The sponsor must supply, but must not necessarily pay for the investigational medicinal products. In trials conducted at hospitals where the patient already receives the product as part of the hospital treatment, the sponsor can make an agreement with the hospital, deciding that the hospital pays the expenses for the investigational medicinal product in connection with the trial. the investigational medicinal product is used to treat an indication in the summary of product characteristics, and the trial subject is treated with the product regardless of participating in the trial and the trial subject pays for the product himself. The dispensing of euphoriant substances/preparations for use in clinical trials is only allowed when the Danish Medicines Agency has issued an authorisation for this purpose, cf. section 4(5) of the Ministry of Health's Executive Order on Euphoriants. Likewise, companies' receipt and storage of euphoriant substances requires that the Danish Medicines Agency has granted its permission, cf. the above executive order. The sponsor is responsible for assessing whether ingestion of the euphoriant substance, in the intended doses, prevents the subject from driving a motor vehicle. This assessment must be clearly stated in a section in the protocol as well as in the patient information. When the Danish Medicines Agency inspects and monitors clinical trials, it can gain access to information about the trial subjects' health and personal circumstances without specific consent or authorisation from the trial subject or his or her relatives or guardian, cf. section 90(2)-(5) of the Danish Medicines Act. Therefore, when informed consent is obtained from a trial subject who is to participate in a clinical trial, the responsible investigator must inform the trial subject that the Danish Medicines Agency has direct access to personal details from patient records etc., including electronic records as part the agency's control activities. However, a power of attorney must be obtained if an inspection is to be carried out by representatives from foreign authorities that will be monitoring the trial. The power of attorney empowering representatives from foreign authorities to access the health information of trial subjects should clearly appear exactly as a power of attorney, and it should be precisely formulated to avoid any doubt with regard to what it covers. The power of attorney should therefore be a separate document addressing the access to the trial subjects' health information and the purpose of such access. It must appear who is granting the power of attorney, to whom it is granted and what it is granted for during which period. The power of attorney which grants representatives from foreign authorities access to health information must be approved by the Danish Medicines Agency and must be submitted together with the application for authorisation of a clinical trial of medicines. Following the entry into force of the amended Danish act on scientific processing of health scientific research projects and section 89(3) of the Danish Medicines Act on 1 July 2016, the power of attorney is no longer to cover the sponsor and the monitor, as the consent to the trial also covers the sponsor's, the monitor's and the investigator’s direct access to the trial subjects' health information. The assessment of the patient information and consent is carried out by the Scientific Ethical Committee System. 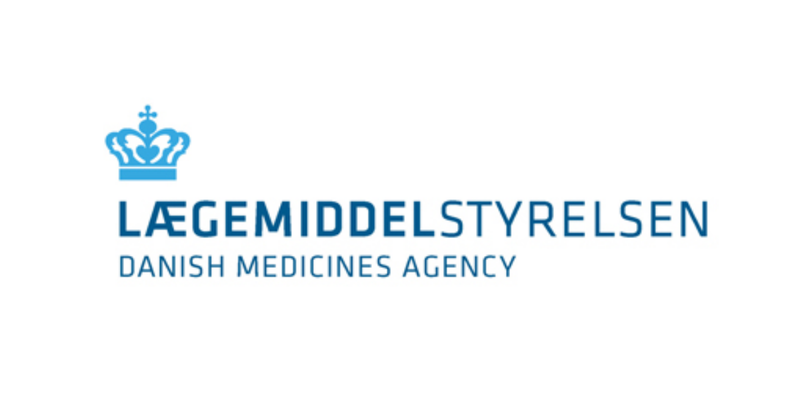 In connection with parallel case handling by the Danish Medicines Agency and the Scientific Ethical Committee System, there may be cases where both systems produce grounds for non-acceptance to closely related problems. This must be regarded as the cost necessary to avoid the delay, which a successive evaluation between the two systems would otherwise entail. The trial may be initiated when both the Danish Medicines Agency has granted an authorisation and the Scientific Ethical Committee System has approved the trial. Only when the authorisation from the Danish Medicines Agency is available, can the medicinal products for the trial can be dispensed to the party or parties responsible for the trial. Subsequent amendments/additions to the protocol and changes hereto must be sent in the same version to both the Danish Medicines Agency and the regional research ethics committee before implementation. Amendments to the protocol should be submitted in the same language as the protocol assessed during application. A fee must be paid, see section 2. It follows from section 10(1) of the Danish executive order no. 744 of 29 June 2006 on good clinical practice in clinical trials of medicinal products in humans (the GCP order) that a trial protocol must contain the information, etc. appearing from Schedule 1 of the executive order. This information could be gathered in one document, cf. section 10(2). It is therefore not required that all the information of the trial protocol be gathered in one document. f) References to literature and data that are relevant and form the basis for the trial." In the Danish Medicines Agency's view the information about investigational medicinal products, including information about the products' quality, previous trials and toxicological studies, which for example is gathered in the Investigator's Brochure or the Investigational Medicinal Product Dossier (IMPD), is to be considered as forming part of the trial protocol. or if the concerned amendments are otherwise considered as substantial. In the Danish Medicines Agency's view, section 4(1) of the executive order also covers (substantial) amendments in relation to the information about the investigational medicinal products in the Investigator's Brochure or an IMPD. Consequently, the sponsor must also apply to the Danish Medicines Agency for permission before the sponsor implements substantial amendments in relation to the background information about the investigational medicinal products in the Investigator's Brochure or IMPD. You can find further information about this in our announcement Amendments to clinical trials. For further information, please see the guidelines for applications for clinical trials, amendments and the declaration of the end of trials, http://ec.europa.eu/health/documents/eudralex/vol-10/index_en.htm, which contributes with examples of substantial amendments that requires an authorisation from the Danish Medicines Agency before the changes may be implemented. These guidelines also contain a form for applying for authorisation for amendments. The form can be downloaded as a Word file from the following link: /~/media/6F1F7A3BA197409B94E8B1040879173D.ashx, which links to relevant documents. The form must be filled in, printed, signed and submitted to the Danish Medicines Agency with documentation enclosed. The completed form must be signed by the sponsor/applicant. Extension of trial period relative to the date approved on the Danish authorisation. New trial sites/change of trial sites (including updated XML file). Change of principal/coordinating investigator (including updated XML file). These changes do not require the approval of the Danish Medicines Agency. The sponsor must inform the Danish Medicines Agency immediately if suspected unexpected serious adverse reactions (SUSARs) occur during the trial, cf. the Danish Medicines Act section 89(2)(i). Adverse reaction: All untoward and unintended responses to an investigational medicinal product related to any dose administered. Unexpected adverse reaction: an adverse reaction, the nature or severity of which is not consistent with the applicable product information (e.g. Investigator's Brochure for an unauthorised investigational product or summary of product characteristics for an authorised product). Serious event or serious adverse reaction: any untoward medical occurrence or effect that at any dose results in death, is life-threatening, requires hospitalisation or prolongation of existing hospitalisation, results in persistent or significant disability or incapacity, or is a congenital anomaly or birth defect. Detailed guidance on the collection, verification and presentation of adverse event/reaction reports arising from clinical trials on medicinal products for human use (CT 3). This guideline is available at the Commission's website under "Volume 10". The trial protocol must state which adverse reactions and adverse events the investigator must report to the sponsor and when the reporting is to take place after the adverse reaction/adverse event is ascertained. It must also be stated how long the trial subjects are followed after they have stopped using the trial medication with regard to registering any late-occurring adverse reactions/adverse events. Under section 89(2)(i) of the Danish Medicines Act, the sponsor must immediately inform the Danish Medicines Agency if any suspected unexpected and serious adverse reactions occur during the trial. The sponsor must ensure that all relevant information about suspected unexpected serious adverse reactions (SUSAR), which are fatal or life-threatening, is recorded and reported to the Danish Medicines Agency as soon as possible, and no later than 7 days after the sponsor is informed of such a suspected adverse reaction. No later than 8 days after the reporting, must the sponsor inform the Danish Medicines Agency of relevant follow-up information on the sponsor's and the investigator's follow-up action to the reporting. Any other suspected unexpected serious adverse reactions must be reported to the Danish Medicines Agency no later than 15 days from the time when the sponsor is informed about them. All reports must be accompanied by comments on possible consequences for the trial. Regarding blinded trials, please refer to section 7.11.1 (115-117) of the guideline on adverse reactions (CT 3). However, for trials in high morbidity or high mortality disease, where efficacy end-points could also be SUSARs or when mortality or another 'serious' outcome (that may potentially be reported as a SUSAR) is the efficacy end-point in a clinical trial, the integrity of the clinical trial may be compromised if the blind is systematically broken. Under these and similar circumstances, the sponsor should reach agreement in the authorisation process as to which serious events would be treated as disease-related and not subject to systematic unblinding and expedited reporting. At the end of the trial, all adverse reactions and events must be reported to the Danish Medicines Agency in the final report. Furthermore, the investigator has the following obligations, cf. the Executive Order on clinical trials: The investigator must immediately report all serious incidents to the sponsor with the exception of serious incidents that according to the trial protocol or Investigator's Brochure are incidents which do not require to be reported immediately. Reporting must be followed-up by a detailed report in writing, and in both the immediate report and the subsequent report, the investigator must identify the trial subjects with a personal code number. Moreover, the investigator must report to the sponsor any incidents and/or irregular analysis results that according to the trial protocol are critical to the trial subjects' safety. Reporting must be done in compliance with the rules and deadlines stated in the protocol. When reporting deaths, the investigator must submit all the additional information the sponsor may request. Furthermore, the documentation must include which Reference Safety Information (RSI) is intended to be used when assessing whether a suspected adverse reaction (SAR) is unexpected/expected and thereby may be a SUSAR. We recommend a specified summary of product characteristics for marketed products (section 4.8 of the summary of product characteristics) and an Investigator's Brochure for non-marketed products (specific section and/or table). The Clinical Trials Facilitation Group (CTFG) has described the requirements related to the Reference Safety Information in a questions and answers document. If a trial of a marketed medicinal product is to be carried out in several countries, the sponsor must choose which summary of product characteristics must be used as Reference Safety Information throughout the entire trial. If the Reference Safety Information is changed, it must be submitted as a substantial change, unless it is submitted together with the annual report (ASR/DSUR). SUSARs occurring in other EU/EEA countries must be reported to the Danish Medicines Agency if the trials have the same protocol (EudraCT-number) as in Denmark. This only concerns trials applied for after 1 May 2004. SUSARs from non-EU/EEA countries should not be reported to the Danish Medicines Agency. Please also see the guidance on reporting of adverse reactions arising from clinical trials (CT 3). Sponsor/sponsor-investigator has a duty to report any suspected adverse reactions or unexpected adverse reactions from medicinal products. In order for an adverse drug reaction to meet the requirement for reporting, the adverse reaction must be serious, i.e. result in death, be life-threatening, require hospitalisation or prolongation of hospitalisation, result in significant or persistent disability or incapacity, or consist of a congenital anomaly or birth defect. Moreover, the adverse reaction must be related to the investigational medicinal product. In other words, it is suspected that there is a causal relationship between the use of the medicinal product and the adverse reaction that has occurred. Both investigator and sponsor (or sponsor-investigator) must assess the causality. The sponsor must not override the investigator's evaluation, so reports must be submitted even though the sponsor does not agree with the investigator. The adverse reaction must be unexpected, i.e. it must be an adverse reaction whose character or gravity is not consistent with the product information (e.g. the Investigator's Brochure for an unlicensed investigational medicinal product or the summary of product characteristics for a licensed medicine). If the serious adverse reaction is not indicated in the product information, it is considered to be unexpected. If it is a blinded trial, the adverse reaction must be assessed before unblinding. From blinded trials, all SUSARs must subsequently be unblinded before they are reported to the authorities. Follow-up reports are only to be submitted if relevant. The decision as to which information is relevant should be based on a medical and scientific evaluation. Only reports concerning suspected unexpected serious adverse reactions (SUSARs) related to the investigational medicinal products of clinical trials which fall under directive 2001/20/EC must be reported by the sponsor to the EudraVigilance Clinical Trial Module (EVCTM). Adverse reactions from clinical trials conducted in compliance with directive 2001/20/EC which are suspected only to be related to non-investigational medicinal products (or another medical product not covered by the clinical trial) and where there is no interaction with the investigational medicinal products are to be considered as spontaneous reports and must therefore be reported to the EudraVigilance Post-Authorisation Module (EVPM). SUSARs occurring in Danish trials and clinical trials with the same protocol (same EudraCT number) in other countries should be reported electronically to the SUSAR database (EudraVigilance Clinical Trial Module, E2B). Since non-commercial sponsors are not expected to have access to the SUSAR database, reporting from this type of sponsor can be done by filling in and submitting the Danish Medicines Agency's e-form for reporting of non-commercial sponsors of suspected unexpected serious adverse reactions (SUSARs) seen in clinical trials. We encourage companies to report electronically as mentioned above, as data is then transferred automatically to the database. SUSARs reported to the Danish Medicines Agency by commercial sponsors should be reported via the EudraVigilance Gateway. The ID concerning SUSARs of the Danish Medicines Agency (previously the Danish Medicines Agency) is DKMAEUDRA. The form is of the same format as ICH E2B M2. However, there will be an interim arrangement until all commercial sponsors have been registered in the SUSAR database. Further details are available at: http://eudravigilance.ema.europa.eu/human/index02.asp. In order to report electronically, it is necessary to be able to report to EudraVigilance, be registered in the system and to have tested with EMA (http://eudravigilance.ema.europa.eu/human/index.asp). EVWeb users can be registered for E2B submission without prior testing. However, you have to let us know in advance so that we can configure your ID in our system. Otherwise, we cannot receive the reports in our system. Please contact E2B@dkma.dk with name, address and sender ID. Gateway users need to test E2B exchange before we can receive cases. For further information, please see Procedure for testing exchange of E2B files. Until all commercial sponsors are registered in the EudraVigilance system, the Danish Medicines Agency will accept SUSARs reported via the e-form. Once a year throughout the duration of the clinical trial, the sponsor must provide a list of all suspected serious adverse reactions which have occurred during the trial period and a report on the trial subjects' safety. The list and the report must be submitted to the competent authorities in the Member States on whose territory the clinical trial is carried out. Please see the guidance on reporting of adverse reactions arising from clinical trials (CT 3), section 8. In future, the annual report and list of serious suspected adverse reactions can be replaced by the Development Safety Update Report (DSUR, ICH E2F). You can read more about DSUR here: http://www.ich.org/products/guidelines/efficacy/article/efficacy-guidelines.html . A DSUR is prepared per investigational medicinal product, and it may therefore cover more than one trial. Please specify the EudraCT numbers for the trials conducted in Denmark in the DSUR cover letter. Pharmaceutical companies can use our DKMAnet extranet to submit annual safety reports using the service for safety surveillance of authorised clinical trial. For more information, please see: Applying for clinical trial authorisations via DKMAnet. No more than 90 days after completion of a trial, the sponsor must inform the Danish Medicines Agency that the trial has been completed (use Declaration of the end of a Clinical Trial). If it is a multinational trial, the Danish Medicines Agency must be informed when the trial is completed in Denmark. When the trial has ended globally, please use the above declaration form. As soon as possible and no later than one year after the trial has ended, the trial results must be entered in EudraCT. Subsequently, data will be published on www.clinicaltrialsregister.eu. This means that you no longer have to submit the trial results to us. Read more about how to enter the results in EudraCT. Since the data become publicly available, you are not required to send a publication to us in future. Please note that phase I trials are not published on www.clinicaltrialsregister.eu (except for studies in children), so you still have to send the publication for phases I trials to us. Read more under ’Result related documentation’. The Danish Medicines Agency will, if deemed necessary, request the complete report. As regards studies in children based on a paediatric investigation plan, the trial results must be entered in EudraCT within six months. A paediatric investigation plan must be prepared at the time of filing a marketing authorisation for a new medicinal product, a new indication (including paediatric indications), a new pharmaceutical form or a new route of administration for an already approved product. This is provided by regulation (EC) No 1901/2006 of the European Parliament and of the Council of 12 December 2006 on medicinal products for paediatric use and amending Regulation (EEC) No 1768/92, Directive 2001/20/EC, Directive 2001/83/EC and Regulation (EC) No 726/2004, which entered into force on 26 January 2007. Several EU guidelines exist on clinical trials in general as well as specific guidelines for certain therapeutic groups. Go to: http://eudract.ema.europa.eu/document.html and click on: "Clinical trials application form". The form must be filled out via the Internet. Read the guideline above in section 3 where there is a link to guideline and form. Go to: http://eudract.ema.europa.eu/document.html and click on: "Notification of Amendment". The form must be downloaded from the Internet. You can also read the guideline above in section 11.2. Go to: http://eudract.ema.europa.eu/document.html and click on: "Declaraton of the end of a clinical trial". CT 1: Application for authorisation of clinical trials, amendments and end of trial. Detailed guidance for the request for authorisation of a clinical trial on a medicinal product for human use to the competent authorities, notification of substantial amendments and declaration of the end of the trial, as required by Article 9 (8) of Directive 2001/20/EC revision 1. Detailed guidance on the collection, verification and presentation of adverse reaction reports arising from clinical trials on medicinal products for human use, as required by Article 18 of Directive 2001/20/EC revision 1. Detailed guidance on the European database of Suspected Unexpected Serious Adverse Reactions (Eudravigilance – Clinical Trial Module), as required by Article 11, Article 17 and Article 18 of Directive 2001/20/EC revision 1. CT 5.1 Amendment describing the Development of EudraCT-Lot 1 for 1 May 2004 and CT 5.2 EudraCT core dataset.